The budget for Intel graphics was always whatever free space remained once all other necessary controllers in the North Bridge were accounted for. As a result, Intel’s integrated graphics was never particularly good. Intel didn’t care about graphics, it just had some free space on a necessary piece of silicon and decided to do something with it. High performance GPUs need lots of transistors, something Intel would never give its graphics architects – they only got the bare minimum. It also didn’t make sense to focus on things like driver optimizations and image quality. Investing in people and infrastructure to support something you’re giving away for free never made a lot of sense. A few years ago they got that break. Once again, it had to do with IO demands on chipset die area. Intel’s chipsets were always built on a n-1 or n-2 process. If Intel was building a 45nm CPU, the chipset would be built on 65nm or 90nm. This waterfall effect allowed Intel to help get more mileage out of its older fabs, which made the accountants at Intel quite happy as those $2 – $3B buildings are painfully useless once obsolete. As the PC industry grew, so did shipments of Intel chipsets. Each Intel CPU sold needed at least one other Intel chip built on a previous generation node. Interface widths as well as the number of IOs required on chipsets continued to increase, driving chipset die areas up once again. This time however, the problem wasn’t as easy to deal with as giving the graphics guys more die area to work with. Looking at demand for Intel chipsets, and the increasing die area, it became clear that one of two things had to happen: Intel would either have to build more fabs on older process nodes to keep up with demand, or Intel would have to integrate parts of the chipset into the CPU. Read the full review @ AnandTech. While Intel gave us the technical rundown on its next iteration of Thunderbolt two months earlier, it’s now announced that it will officially be known as the not-particularly-original Thunderbolt 2. Promising 20 Gbps throughput and support for 4K video, Intel is now vowing to bring the port to market sometime this year. For a reminder, we’ve added the company’s NAB demo after the break. Intel formalizes Thunderbolt 2, promises products this year. As was the case with the launch of Ivy Bridge last year, Intel is initially launching with their high-end quad core parts, and as the year passes on will progressively rollout dual cores, low voltage parts, and other lower-end parts. That means the bigger notebooks and naturally the performance desktops will arrive first, followed by the ultraportables, Ultrabooks and more affordable desktops. One change however is that Intel will be launching their first BGA (non-socketed) Haswell part right away, the Iris Pro equipped i7-4770R. 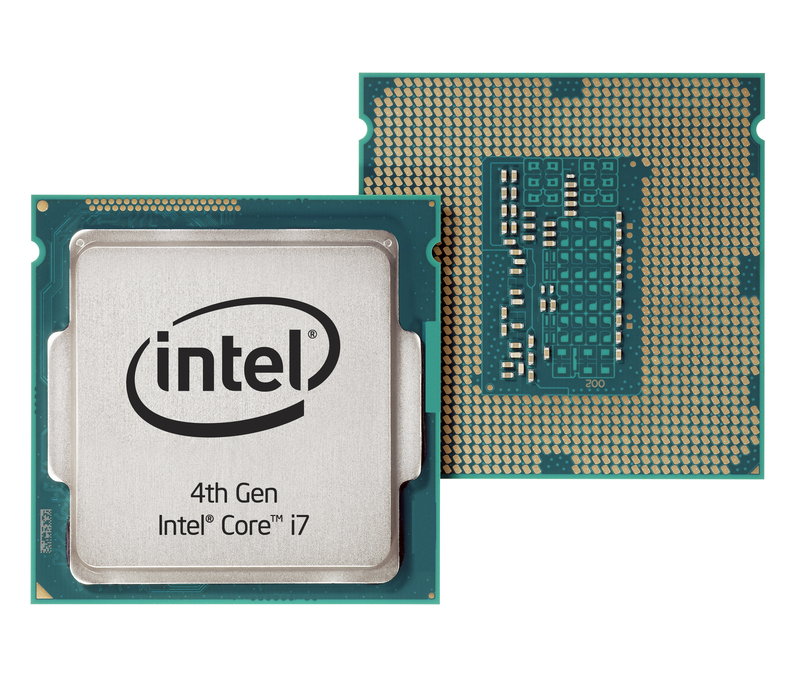 Starting at the top of the product and performance stack, we have the desktop Core i7 parts. All of these CPUs feature Hyper-Threading Technology, so they’re the same quad-core with four virtual cores that we’ve seen since Bloomfield hit the scene. The fastest chip for most purposes remains the K-series 4770K, with its unlocked multiplier and slightly higher base clock speed. Base core clocks as well as maximum Turbo Boost clocks are basically dictated by the TDP, with the 4770S being less likely to maintain maximum turbo most likely, and the 4770T and 4765T giving up quite a bit more in clock speed in order to hit substantially lower power targets. It’s worth pointing out that the highest “Test TDP” values are up slightly relative to the last generation Ivy Bridge equivalents—84W instead of 77W. Mobile TDPs are a different matter, and as we’ll discuss elsewhere they’re all 2W higher, but that is further offset by the improved idle power consumption Haswell brings. Nearly all of these are GT2 graphics configurations (20 EUs), so they should be slightly faster than the last generation HD 4000 in graphics workloads. The one exception is the i7-4770R, which is also the only chip that comes in a BGA package. The reasoning here is simple: if you want the fastest iGPU configuration (GT3e with 40 EUs and embedded DRAM), you’re probably not going to have a discrete GPU and will most likely be purchasing an OEM desktop. Interestingly, the 4770R also drops the L3 cache down to 6MB, and it’s not clear whether this is due to it having no real benefit (i.e. the eDRAM may function as an even larger L4 cache), or if it’s to reduce power use slightly, or Intel may have a separate die for this particular configuration. Then again, maybe Intel is just busily creating a bit of extra market segmentation. Not included in the above table are all the common features to the entire Core i7 line: AVX2 instructions, Quick Sync, AES-NI, PCIe 3.0, and Intel Virtualization Technology. As we’ve seen in the past, the K-series parts (and now the R-series as well) omit support for vPro, TXT, VT-d, and SIPP from the list. The 4770K is an enthusiast part with overclocking support, so that makes some sense, but the 4770R doesn’t really have the same qualification. Presumably it’s intended for the consumer market, as businesses are less likely to need the Iris Pro graphics. 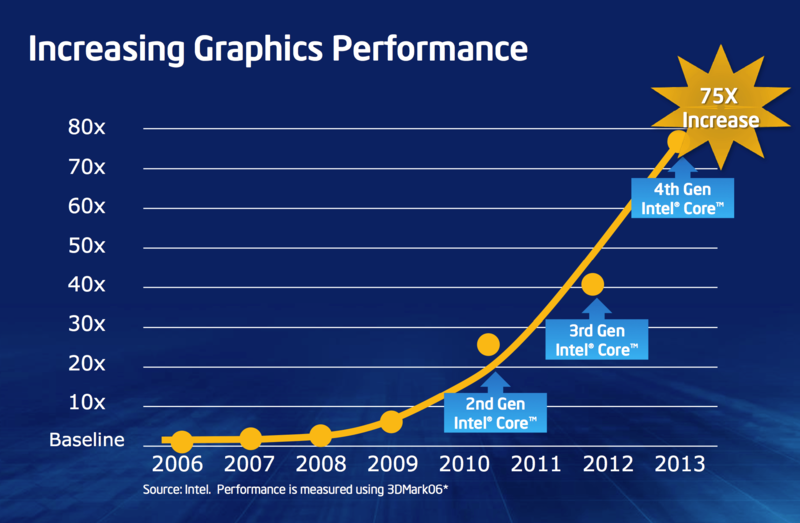 The Core i5 lineup basically rehashes the above story, only now without Hyper-Threading. For many users, Core i5 is the sweet spot of price and performance, delivering nearly all the performance of the i7 models at 2/3 the price. There aren’t any Iris or Iris Pro Core i5 desktop parts, at least not yet, and all of the above CPUs are using the GT2 graphics configuration. As above, the K-series part also lacks vPro/TXT/VT-d support but comes with an unlocked multiplier. Obviously we’re still missing all of the Core i3 parts, which are likely to be dual-core once more, along with some dual-core i5 parts as well. These are probably going to come in another quarter, or at least a month or two out, as there’s no real need for Intel to launch their lower cost parts right now. Similarly, we don’t have any Celeron or Pentium Haswell derivatives launching yet, and judging by the Ivy Bridge rollout I suspect it may be a couple quarters before Intel pushes out ultra-budget Haswell chips. For now, the Ivy Bridge Celeron/Pentium parts are likely as low as Intel wants to go down the food chain for their “big core” architectures.